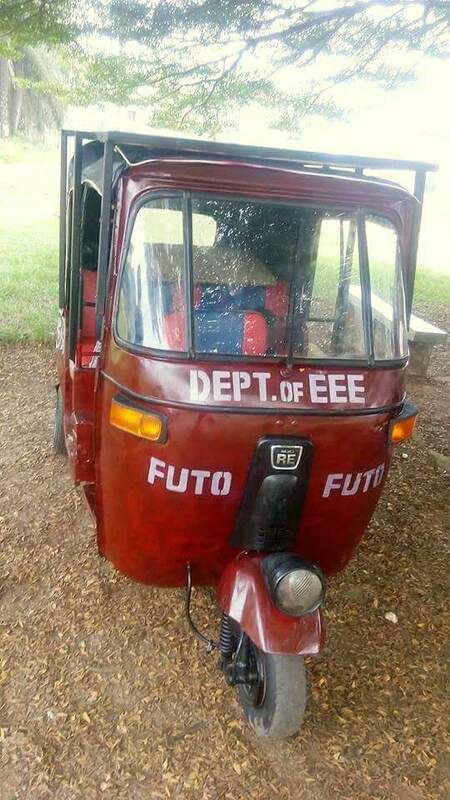 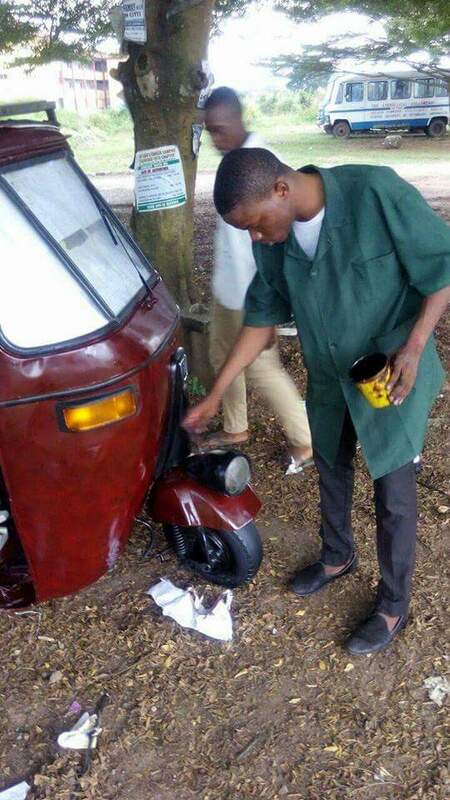 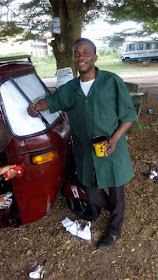 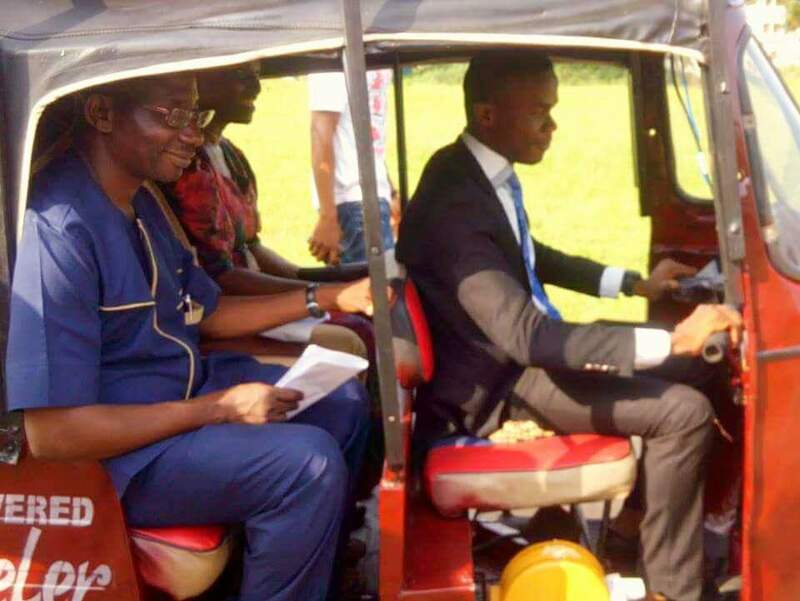 A young man from Akwa Ibom state, Ekomobong Finbarr, constructed and defended this solar powered tricycle (Keke) as his first degree project in Electrical Engineering, Federal University of Technology, (FUTO), Owerri. 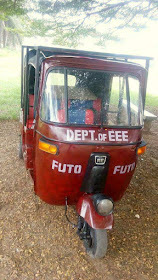 According to reports, the tricycle has no engine, just battery and the solar system and can go 11km without blinking. His Head of Department, Mr. Damian Dike with his colleague Dr. Mrs. Achumba enjoyed the first cruise of the Keke.